Our experienced construction litigation attorneys represent owners, contractors, subcontractors, suppliers and design professionals in disputes arising out of both public and private projects throughout Florida. We represent clients in all types of construction lawsuits, including claims for breach of contract, breach of express or implied warranties, negligence, negligent misrepresentation, deceptive trade practices, and fraud. Our construction litigation team, which includes a Florida Bar Board Certified specialist in construction law, works on a contingency-fee basis, so we only receive a fee if we successfully resolve your case. If you have a construction dispute that you would like to discuss with our attorneys, complete our contact form or call us at 877-667-4265 today. Construction defect lawsuits are a common type of construction case in Florida. 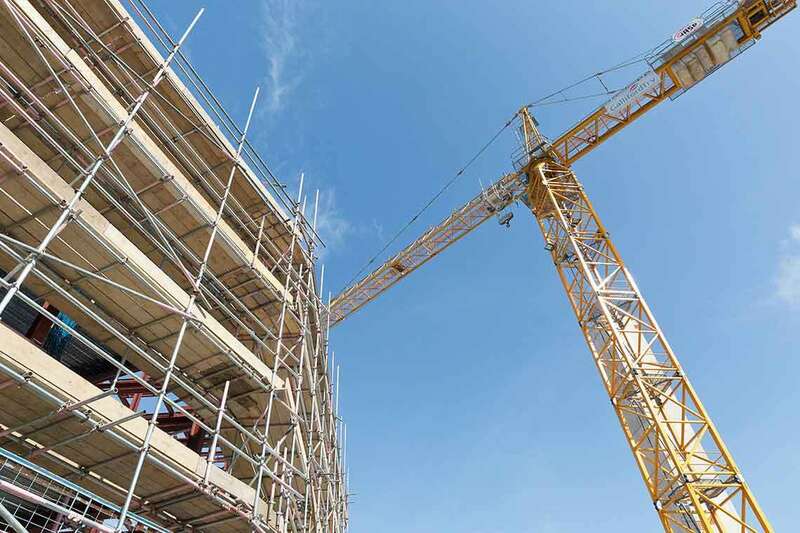 Construction defect cases often involve allegations of breaches of the implied warranties of merchantability and fitness for a particular purpose. State law recognizes two basic types of warranties – express warranties and implied warranties. An express warranty is a promise or guarantee regarding the performance, quality, or use of an item. An express warranty is usually a part of a contract for the sale of goods. An implied warranty, on the other hand, is an unspoken and unwritten promise by a manufacturer to stand behind its product. Construction defect lawsuits often involve allegations of breaches of the implied warranties of merchantability and fitness for a particular purpose. The implied warranty of merchantability is the seller’s implied promise that the goods sold will perform how they are expected to perform. The implied warranty of fitness for a particular purpose is a promise that a product can be used for some specific purpose. Our knowledgeable construction attorneys can evaluate your dispute and determine if you have a viable lawsuit for breach of the implied warranties of fitness and merchantability. These construction defect claims are sometimes overlooked because they lie outside the four corners of a construction contract. Our construction lawyers help you recover damages from all legal theories available under state law. Our construction attorneys understand that delays in construction projects can have a detrimental effect on the overall profitability of a project. While many construction contracts contain “no damages for delay” clauses, such provisions are generally unenforceable when the delay was caused by fraud, bad faith or active interference. Furthermore, under state law, the “willful concealment of foreseeable circumstances that impact timely performance” may also limit the applicability of a “no damages for delay” clause. Our construction lawyers can review the facts of your situation and evaluate the legal options that may be available to you in a construction delay lawsuit. If another party’s negligent or intentional actions caused unreasonable construction delays, you may be entitled to legal relief. Under Florida law, architects, engineers, and design professionals are required to use due care in performing work for clients. If you suffered damages because of a design professional’s negligence, our construction malpractice attorneys can help you file a lawsuit. Architect and engineering malpractice claims generally require expert testimony regarding the applicable standard of care and how that standard was breached. In a professional malpractice suit, the credibility of the expert witness is a key component to winning a case. Our skilled construction attorneys work with leading architectural and engineering experts to help convince juries that the conduct of the architect, engineer or design professional in question did not satisfy the applicable standard of care. The Business Trial Group includes a specialist in construction law who is Board Certified by the Florida Bar. Board certification recognizes an attorney as an expert in construction law and requires an attorney to have special knowledge, skills, proficiency, professionalism, and ethics. Less than 1 percent of all attorneys are board certified in construction law. Our construction attorneys’ ultimate goal is to use their experience and resources to maximize the potential recovery in your case. What Is the Statute of Limitations for Construction Lawsuits? The date of completion or termination of the contract between the professional engineer, registered architect or licensed contractors and his or her employer. If, however, a construction lawsuit involves a latent (hidden) defect, the statute of limitations runs from the time the defect is discovered or should have been discovered with the exercise of due diligence. In no event can a construction defect claim be filed more than 10 years after the latest of these dates. Because there is a time limit in which construction lawsuits may be filed, it is important that you speak with an experienced attorney as soon as possible. Morgan & Morgan’s contingency-fee construction litigation attorneys have successfully represented clients in courthouses throughout Florida. In venues such as Orlando, Tampa, Jacksonville, Miami, West Palm Beach, Fort Lauderdale, Fort Myers, Naples, Sarasota, and Tallahassee, our construction attorneys have won a wide-array of construction lawsuits in which millions of dollars were at stake. To find out if you have legal recourse for your construction dispute, complete our contact form or call us at 877-667-4265 today. Dealt with James. He settled my case with a great result.